A survey of almost 700 adults showed that Sir Tom would be the most popular drinking companion at next week's Great British Beer Festival in London, organised by the Campaign for Real Ale (Camra). The Welshman beat Robbie Williams, Gary Barlow and Annie Lennox to win the accolade. 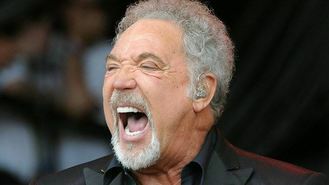 Camra chairman Colin Valentine said, "It is great to see Tom Jones, at 74 years old, top the poll and that age is not an issue when choosing a drinking partner. "I am sure Tom would be able to tell some wonderful stories over a pint or two and if he is in London next week, then I'd be more than delighted to buy the first round." Other singers in the top 10 included Adele, Jessie J and Lily Allen.